The Western Conference's Southwest Division is the NHL's toughest this season, featuring the powerhouse Sharks, the surprising Coyotes along with the resilient Ducks and Stars. All of these teams are either within the top-eight playoff picture of the Western Conference at present time, or are knocking on the door. The third-place team in the division, the Los Angeles Kings, are in the thick of it as well, having gone 9-1-0 in their last ten games. 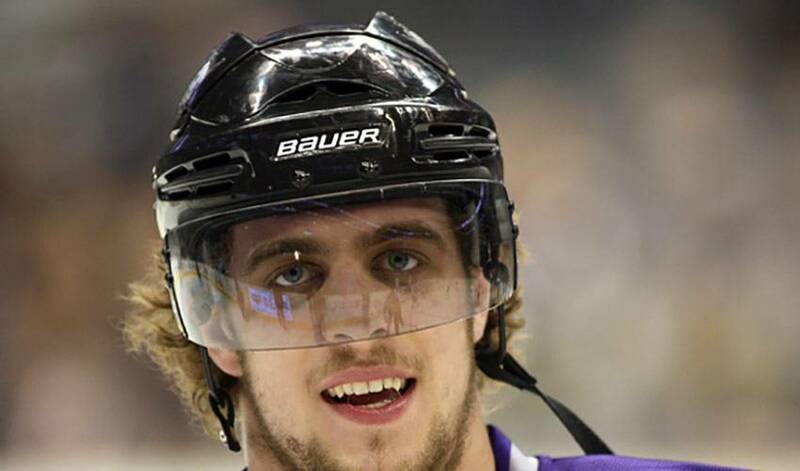 A key reason for their strong play as of late has been their leading scorer Anze Kopitar. The Slovenian superstar is riding a seven-game point streak, to go along with points in 10 of his last 11 games. Over that span, Anze has been showcasing his ability to be a complete player, getting time on the power-play, penalty-kill and using his superb skill to dominate at all times. This was on full display this past Tuesday in a game against the Rangers where he was an incredible force, making the scoresheet with a short-handed goal a play that showcased his speed, skill and quick shot. Recently, Anze has been doing it all, scoring and setting-up game-winners, making the difference in shoot-outs, registering multi-goal games, and that's just this week! A consistent performer, Anze is using 2009-10 as his coming-out party as a point-a-game player. Ottawahas been the buzz of the hockey world recently for reeling off of a 10-game winning streak, but, for all its merits, it still isn't even the longest current winning streak in the NHL. Washington is a game in front of Ottawa's pace, having won an incredible 11 consecutive contests and buzz-sawing their way through teams from both conferences with equal ease. With every subsequent victory now adding to their franchise-record for consecutive wins, the Capitals are looking to be unstoppable. The team had a 13-2 record in January and enjoys a 25-point lead over Tampa Bay in the Southeast Division standings, as well as a 10-point lead over New Jersey in the Eastern Conference standings. Washington boasts talent and depth in their forwards and defencemen that seem criminally unfair and are receiving stability between the pipes from Jose Theodore, who has won his last eight starts. Led by captain Alex Ovechkin, the Capitals are never out of a game and can put any number of goals on the board quickly. Ridiculously long winning streak or not, this team is undeniably a favourite to contend for the Stanley Cup this year. Antero Niittymaki has faced the Atlanta Thrashers 16 times in his NHL career and to say he has had their number over the years is a gross understatement. After a stellar performance at Phillips Arena on Tuesday night, the 29-year-old Finn pushed his career record against the Thrashers to 16-0-0, including a stunning 11-0-0 in Atlanta. In those 16 games, Antero boasts a tiny GAA of 1.74 and an equally impressive .940 save percentage. The MVP of the 2006 Turin Olympics and soon-to-be 2010 Olympian, Antero has been red-hot as of late, with a 5-1-1 record in his last seven starts. The next match-up between the two clubs is on March 6th, and it's fair to assume that Rick Tocchet already has his starting goalie penciled into the lineup card for that game. The Avalanche have supplied many candidates for this particular space over the course of the 2009-10 season, so lets add T.J. Galiardi to the list. T.J is just 21 and in his first full season with Colorado. He was selected 55th overall in the 2007 draft and the Calgary native is proving he belongs in the NHL as he has recorded 24 points in 45 games this year, as well as posting an impressive +10 rating. With four goals in January, T.J doubled his output to eight for the season, and in Tuesday's game against the Blue Jackets, he had a career-game, notching four assists. Those four helpers include a pair while shorthanded to fellow youngster Ryan O'Reilly and two to another Avs rookie, Brandon Yip. Who knew that “rebuilding” could be so easy? Playing against the Buffalo Sabres on Wednesday night, Jason Spezza would have been on the brink of franchise history had he not been injured in December. After hurting his knee just before Christmas, Jason had goals in each of his four games since returning, as well as in each of the two leading up to his injury. Jason has now scored in seven straight games and is helping the Sens as they position themselves strongly for a spot in the Eastern Conference playoff picture. This outburst is a personal best for Jason and is surely gratifying for him after the amount of criticism he received earlier in the season when he was suffering through a goal drought. Congratulations from NHLPA.com on this accomplishment, Jason. “From now til end of the month, I will donate 1$ for each follower I get to the Red Cross Haiti Relief Fund #haiti #NHL.” - St. Louis Blues' forward David Perron, one of the NHL's leading proponents on Twitter, tweeted this message on Tuesday through http://twitter.com/Dp_57, doing his part to help the people of Haiti.